Replacement G16 Chassis bodies available. Manufactured by the Walkletts the original designers. 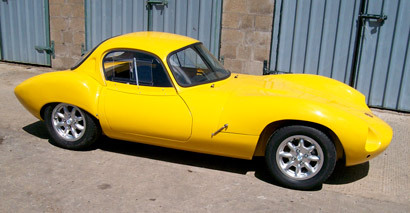 Ginetta G4 series 1 chassis/body units available in live axel/pre-crossflow or Twin Cam/IRS using the original moulds and jigs from the 60’s, to create this new genuine classic sports car. Body panels and spares always in stock. Manufactured by the Walkletts the original designers. 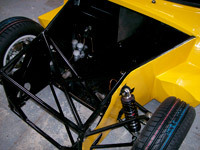 Ginetta G12 chassis/body units available in historic specification, Twincam power with Hewland gearbox using original body panels to create this iconic 60’s GT racer. Chassis/body units of the continuation model of the G12 still in production today. Zetec/Duratec/Cosworth YAC engines with modern full race gear box from Elite Transmissions. Bringing together all their knowledge from the past 50 years of building race winning cars DARE (UK) also produce their own race winning engines. You can choose from a 190hp road car or a 240hp full race engine built in house at the factory. All mechanical, chassis and body parts are available to order for the Ginetta G4, Ginetta G12, Dare DZ and TGS. The race-winning Zetec engine and components (see our motorsport page), dry sump assemblies and dry sump tanks are also available. Please get in touch with us for delivery and prices by calling on +44 (0) 1621 869 199 or by fax on or complete the email form below.